Stephen Howland Brown had already set his sights on the abandoned sanitarium project. He purchased the property and in July 1906 his architect, Edward P. Casey, filed plans for a “3-story brick and stone dwelling” to cost $50,000. Brown and Casey would amend those plans to something vastly more impressive. A member of the ship brokerage firm Vernon C. Brown & Co., Brown had been for many years the governor of the New York Stock Exchange. His father, Vernon H. Brown, was head of the Cunard Steamship Company. His wife, the former Grace V. Quartley, was the daughter of renowned marine seascape painter Arthur Quartley. The choice of Edward Pearce Casey was somewhat surprising. Unlike society architects like McKim, Mead & White, Delano & Aldrich, or C. P. H. Gilbert; Casey was known for his institutional designs. In 1892 he took over as architect of the Library of Congress, he had won a prize for his proposal for New York City Hall, and in 1901 he won the competition to design the Ulysses S. Grant Memorial on Washington D.C.’s National Mall. But perhaps it was best that the Brown’s architect was more familiar with monumental structures than residences. The house that had started out on paper as a $50,000, three story structure ended up costing $200,000, rising four floors, and stretching back more than 100 feet. Completed in 1907, the 40-foot wide mansion was a Tudor Revival fantasy—as much castle as home. Faced in limestone, it relied as much on substance as it did decoration to create an imposing presence. There were two massive arched entrances in the otherwise stark base—one accessed the mansion, the other disguised the garage. Stephen H. Brown’s vehicles would pull directly into the residence. The second and third floors were dominated by vast openings, united by common mullions and blind tracery in the spandrels. Each was capped by square-headed drip molding; and gracing the façade between them was an enormous carved crest. A cornice separated the third and fourth floors, above which paired sets of Tudor-arched openings sat below a dramatic crenelated parapet that gave the impression of a battlement. 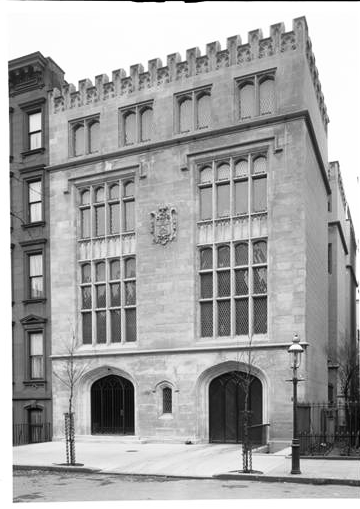 The house quickly gained the nickname in realty circles “the medieval palace in the heart of New York,” a name it would carry for years to come. The New-York Tribune said “No Old World palace was torn down to surrender its ceilings or its iron grills, but the architect constructed it in the manner of the Italian Renaissance, and the furniture collected in all the countries where the Renaissance holds sway, carries out the spirit. The Browns filled the mansion with an impressive collection of medieval furniture, tapestries, and artwork. Especially noteworthy was Stephen Brown’s collection of antique armor, collected from around the world, which lined the hallways. The exceptions to the period art were the many paintings by Arthur Quartley that hung on the walls, which had remained in his studio at the time of his death in 1886. The year 1910 was a socially-important one for the Brown household. On November 5 the daughter of Stephen’s brother, Vernon, was married in the mansion. Attending Marie Vernon Brown was Stephen and Grace’s only daughter, Caro. Stephen and Grace spent that summer in Southampton; but they would never again return to East 70th Street. They moved into an apartment in the Plaza Hotel, and on October 10, 1913 the New-York Tribune reported that they had leased the house, fully furnished, to “a prominent Englishman” for $15,000 a year. The “prominent Englishman” was Frederick W. Gordon. He leased the house until 1916, when the Browns leased the house to David and Clara Mannes, for their David Mannes Music School. Before the school opened on October 1, Stephen H. Brown suffered “a general physical breakdown,” as described by The Sun, and was placed in a private hospital. On the evening of November 17, 1916 the school was the scene of a reception for Dr. Walter Damrosch and his wife, Margaret. The “Dean of American Conductors,” Damrosch was a composer, conductor and pianist. He began conducting at the Metropolitan Opera House in 1885 and later became conductor of the New York Symphony Orchestra. He formed the Damrosch Opera Company to stage Wagner compositions in 1895 and composed four operas. The 47-year old Griggs was a wealthy attorney, educated at Yale and married to the former Carolyle Cowles Lee. The couple had three children, Dorothy, Maitland and Northam, and maintained a country estate, Barberries, at Ardsley-on-Hudson, New York. Like the Browns, the Griggs were well-known collectors of art. Maitland Fuller Griggs served on The Metropolitan Museum of Art’s Purchasing and Greek and Roman Art Committees, was a trustee of The Frick Collection, and was a large benefactor of the Yale Gallery for Fine Arts. Among the artists represented on the walls of 154 East 70th Street were John Singleton Copley, Lippo Memmi, Maso di Banco, Guido di Pietro and della Robbia. Daughter Dorothy was back in New York when her parents bought the 70th Street mansion. She had begun studies at Bryn Mawr College, but when war broke out she left to serve as a nurse. The war prevented her from being formally introduced to society, as well. The couple was married in Irvington, New York on September 18, after which the reception was held in the Griggs’ Ardsley-on-Hudson home. The Griggs remained in the house until 1925 when it was sold to Suffragan Bishop Herbert Shipman of the Episcopal Diocese of New York. Shipman had been bishop for four years, but he was perhaps better known for his military service. In 1896 the young priest was made U.S. Army war chaplain, a position he held until 1905. 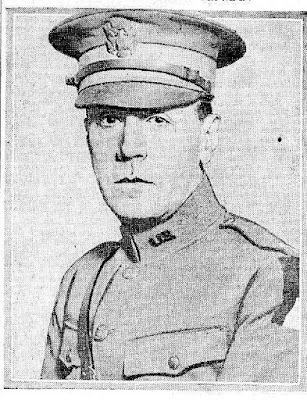 He was the composer of the West Point anthem “The Corps.” During World War I he was Senior Chaplain of the First Army, serving in France. Along with the Shipmans in the 70th Street mansion were the bishop’s in-laws. 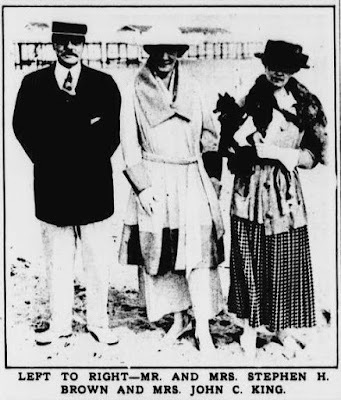 Edson Bradley and his wife, Julia Williams Bradley, were well known in society. In addition to their Tuxedo Park home, they had a mansion in Washington, D. C. and a cottage, Seaview Terrace, in Newport. Julia Bradley died in their Newport home on August 22, 1929. Seven months later, almost to the day, Bishop Shipman sat down to lunch with his wife and father-in-law, when he suddenly complained of feeling ill. “He had scarcely finished speaking when he collapsed,” reported The New York Times on March 24, 1930. When Dr. Samuel B. Moore arrived, he said that the 60-year old had died instantly. More than 2,000 persons viewed Shipman’s body in St. John’s Cathedral. His burial at West Point took place on March 26. It was the end of the line for the Brown mansion as a private residence. It was purchased by the Gardner School, an exclusive girls’ school. 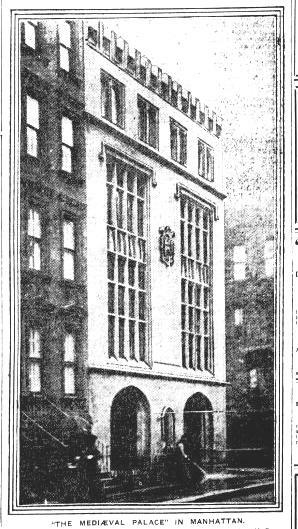 Following conversion to classrooms by the architectural firm McCrea & Sharpe, the school’s new home was formally opened with a house-warning on September 23, 1932. The school’s principal, Miss M. Elizabeth Masland, moved into an apartment on the top floor. A series of schools would move in and out of the 70th Street mansion. In 1945 it was acquired by the Jewish Teachers’ Seminary & People’s University. In 1959 the interiors were altered for the Eron Preparatory School. By 1980 it was home to the coeducational Lenox School, and in 1993 it was sold to the Manhattan High School for Girls, after sitting vacant for three years. Nice to read the history of this beautiful building as I attended Eron Prepatory school, grad class of 1965.